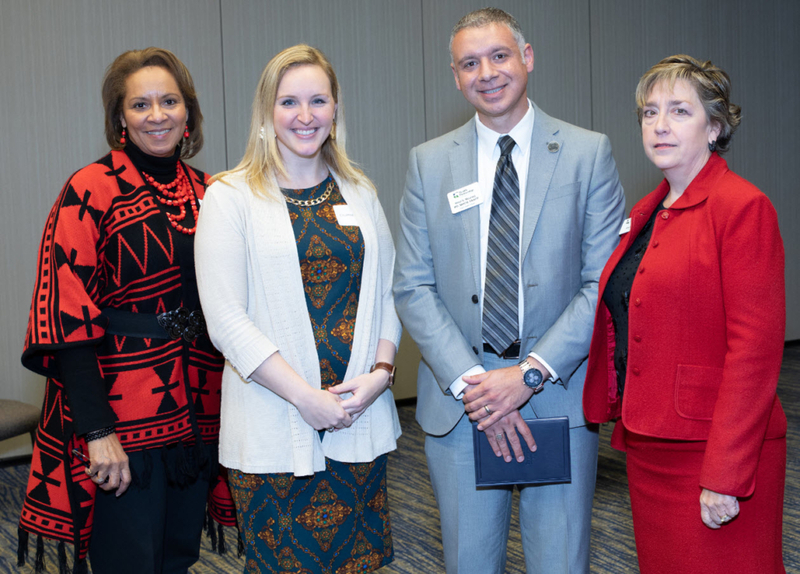 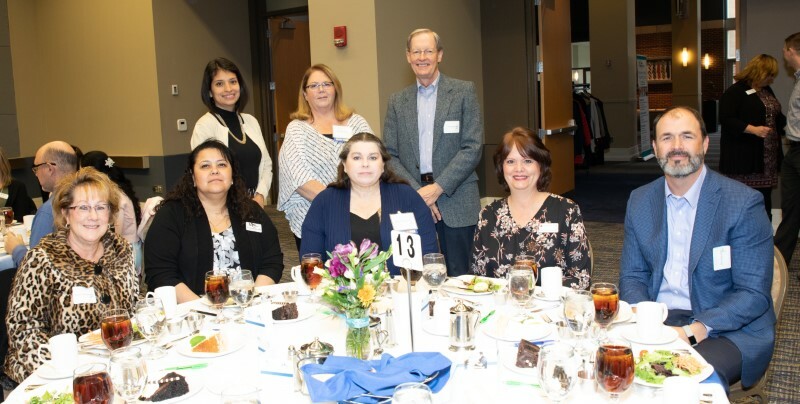 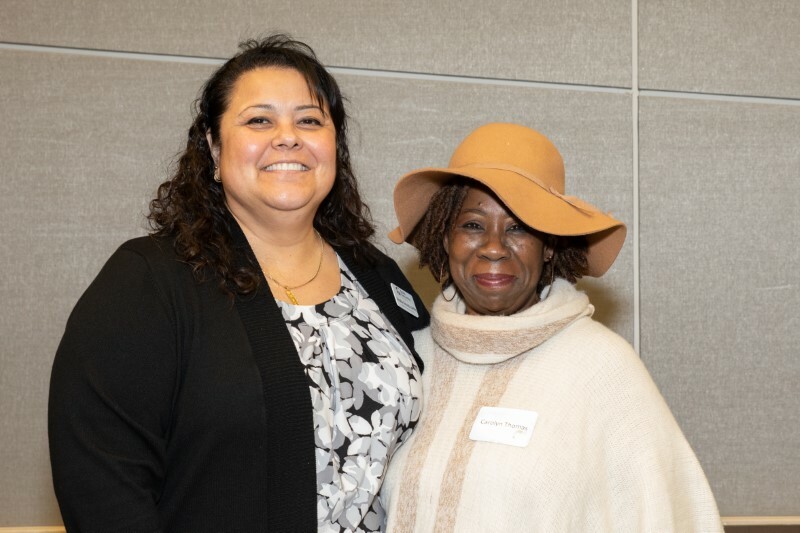 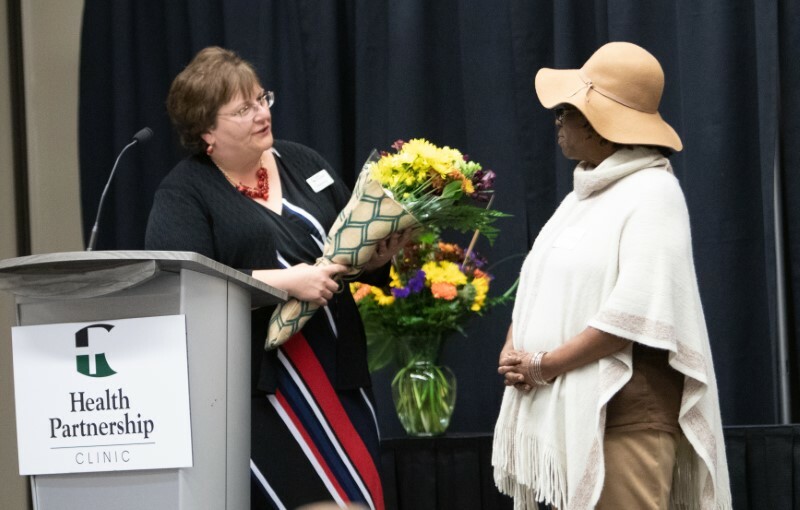 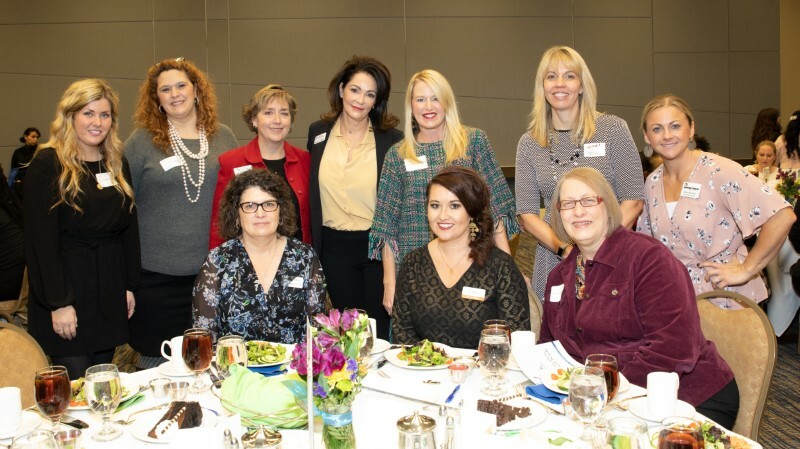 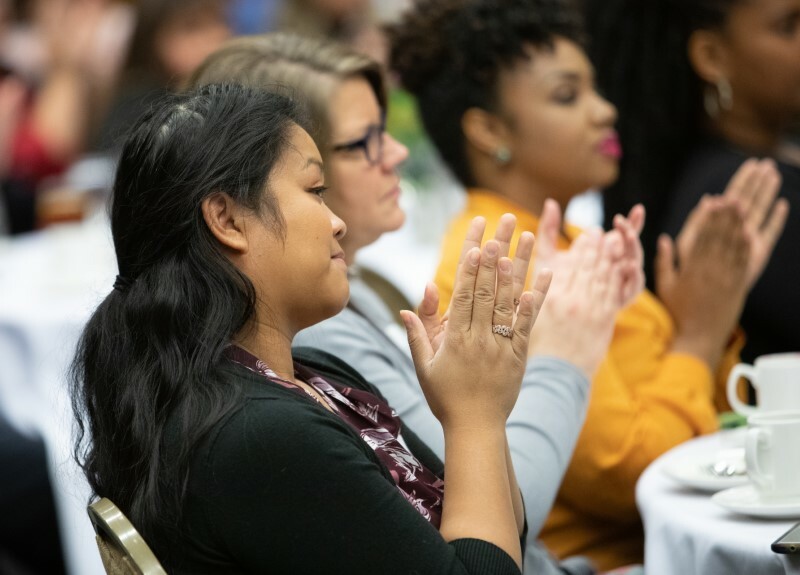 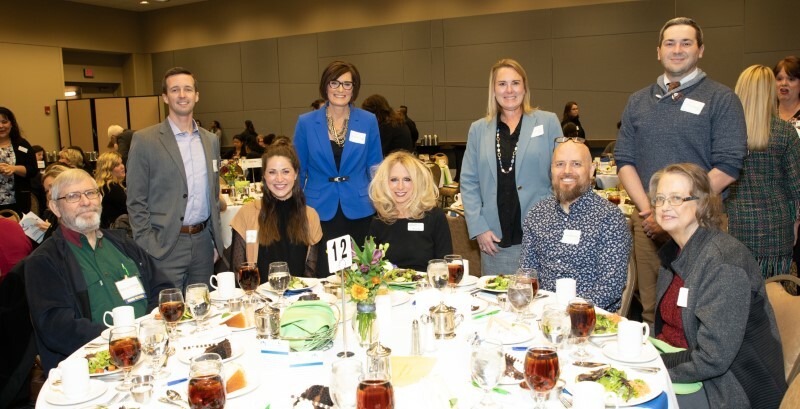 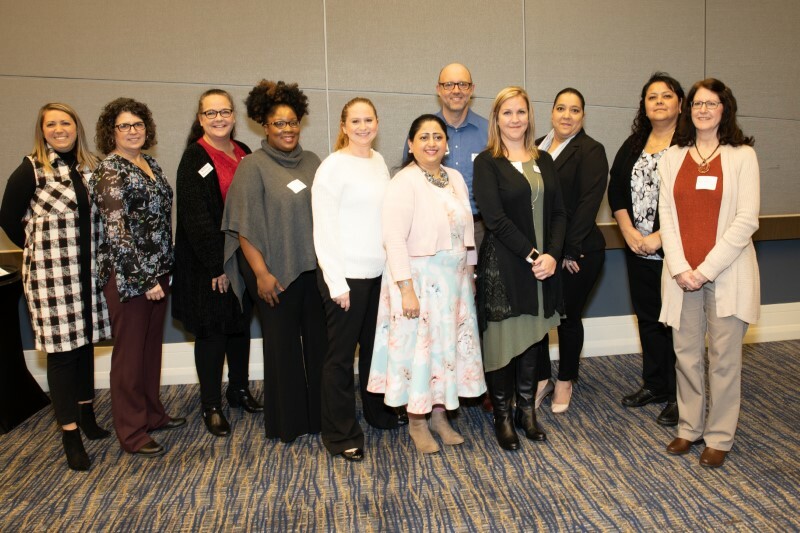 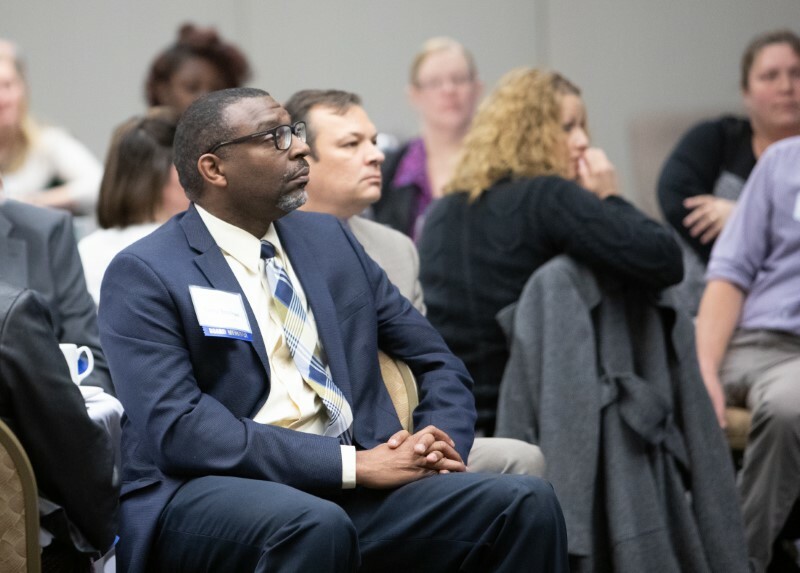 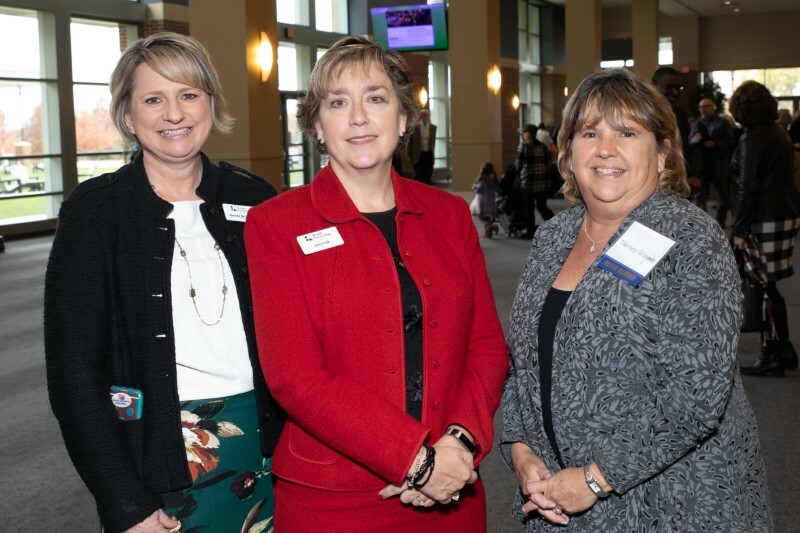 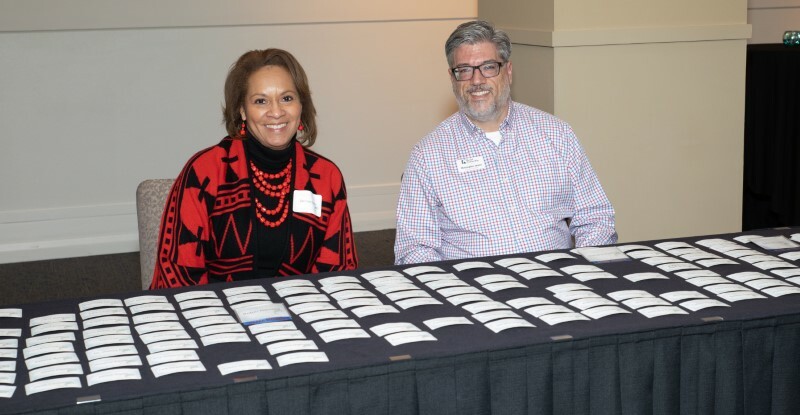 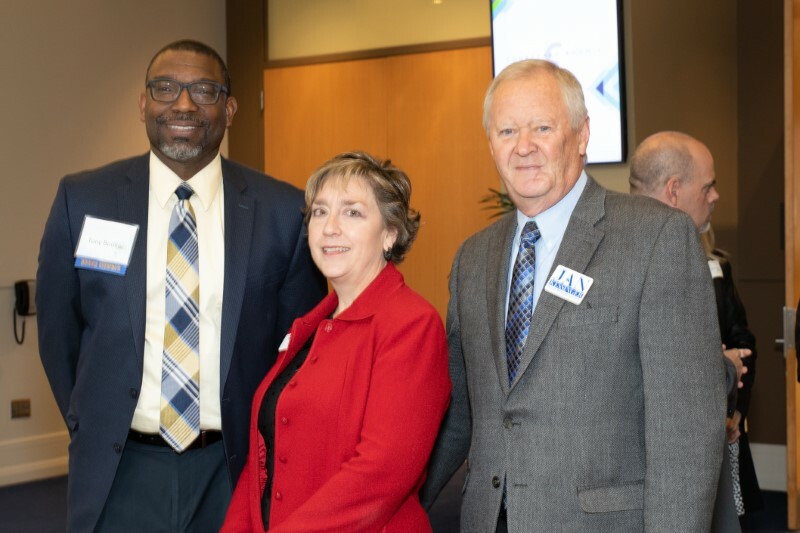 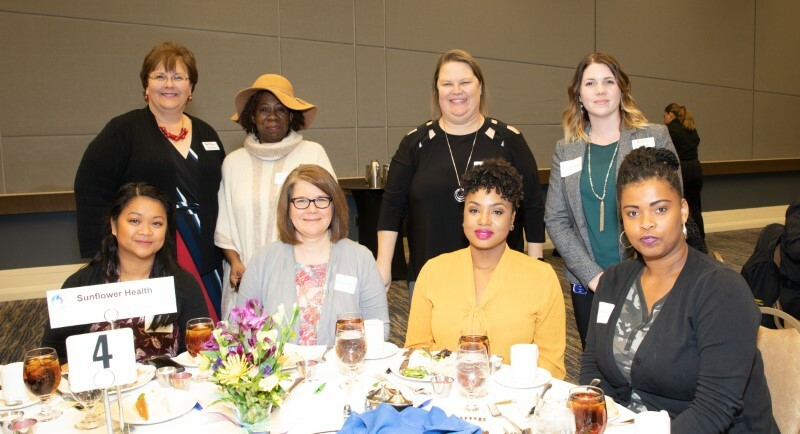 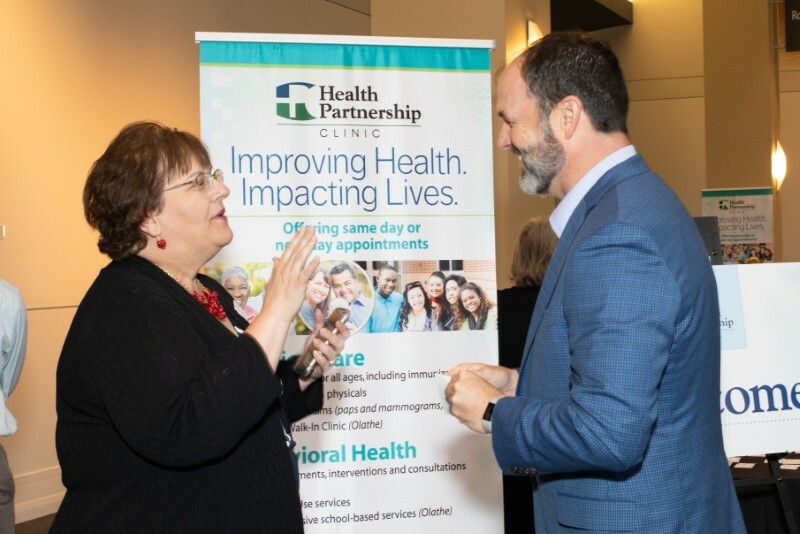 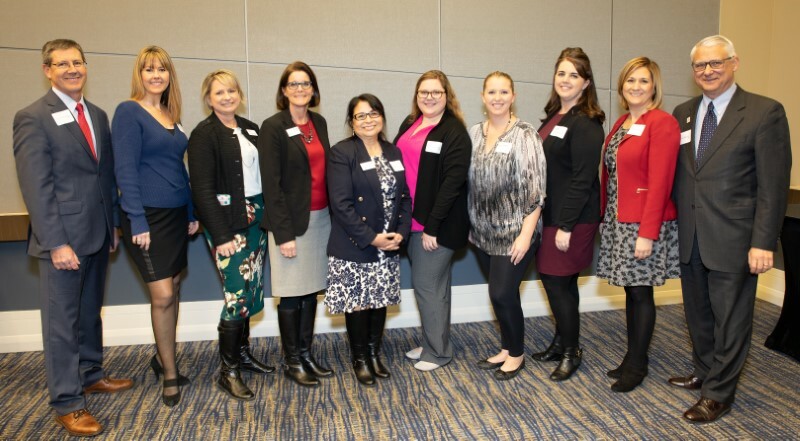 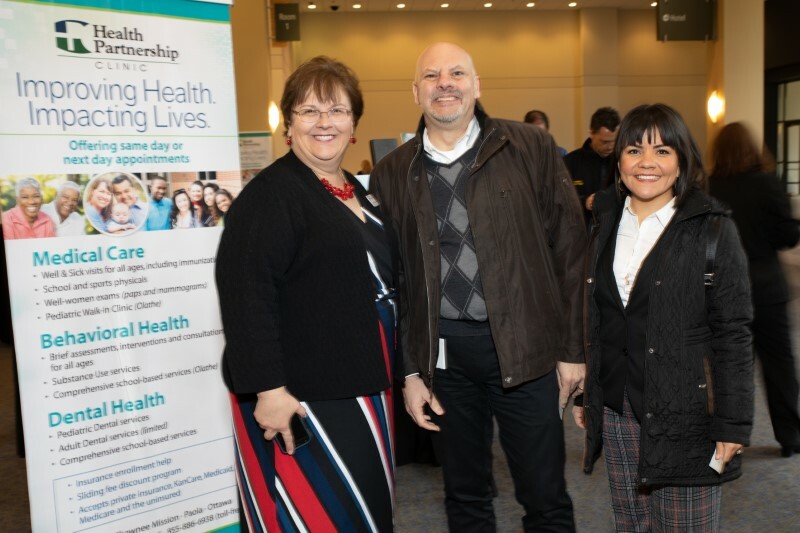 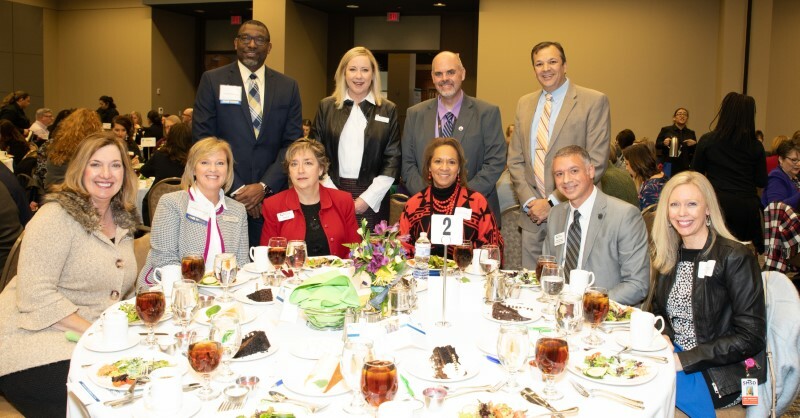 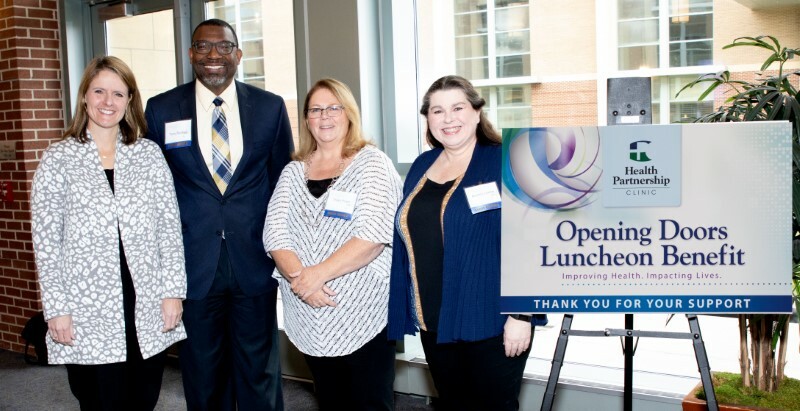 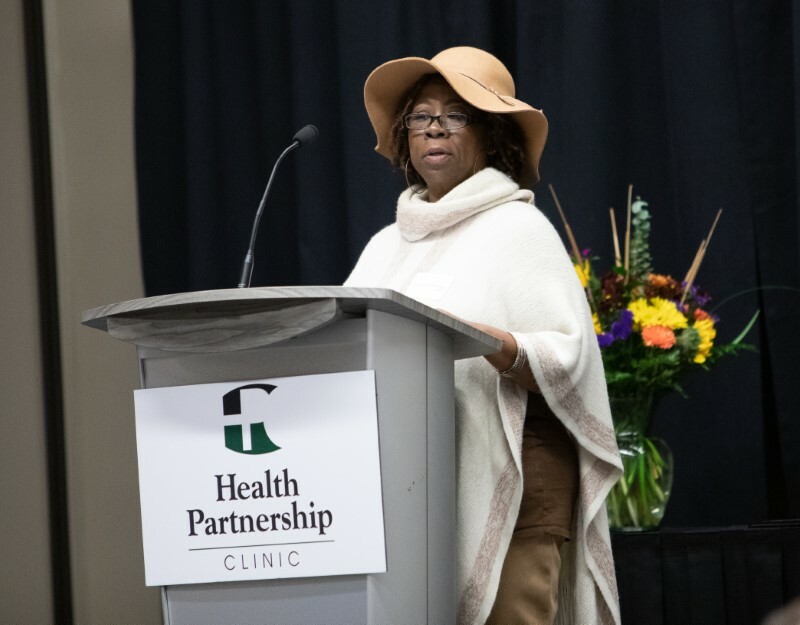 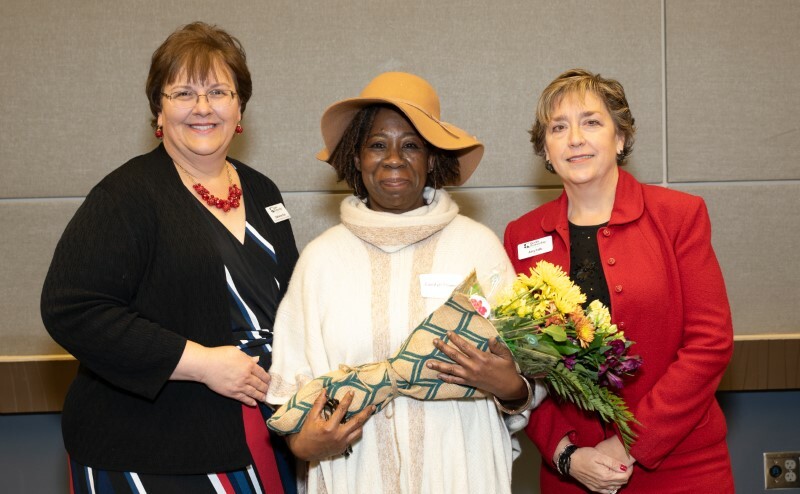 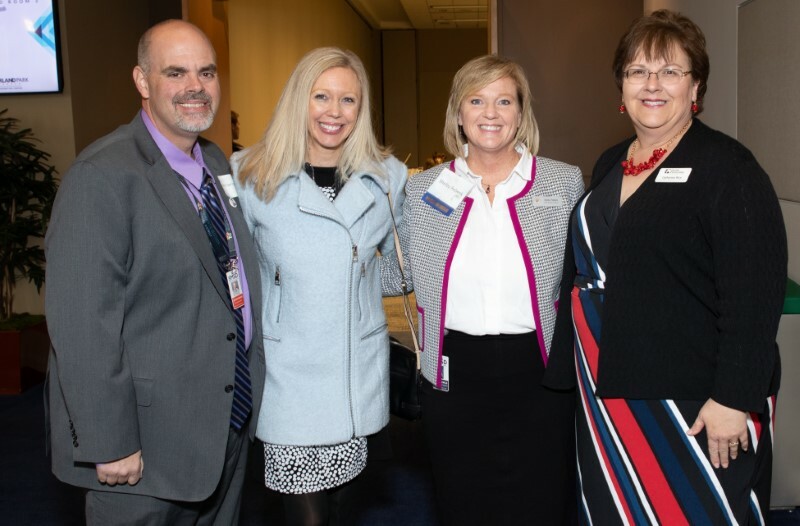 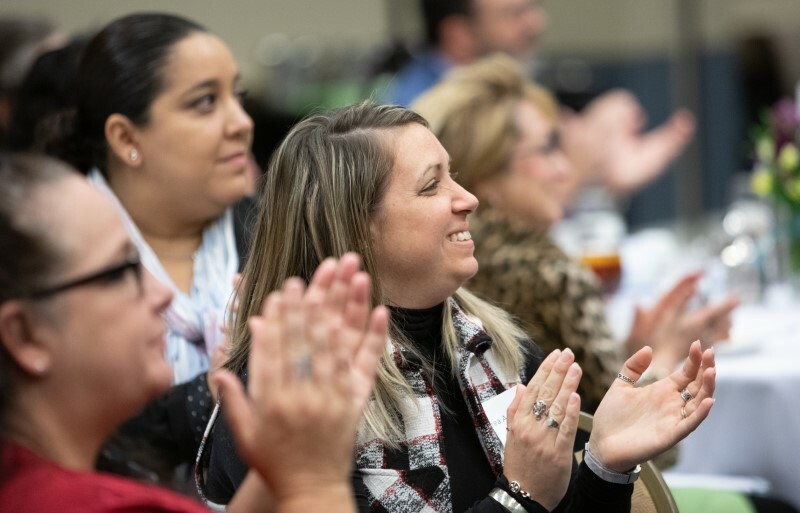 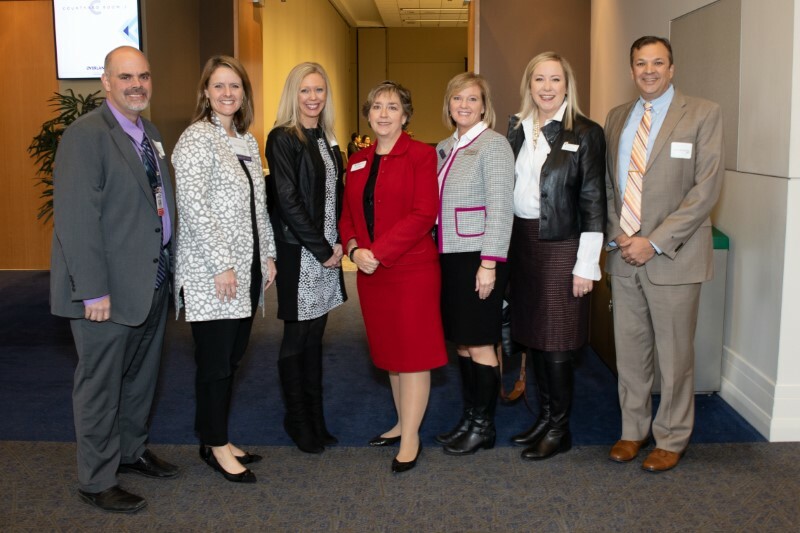 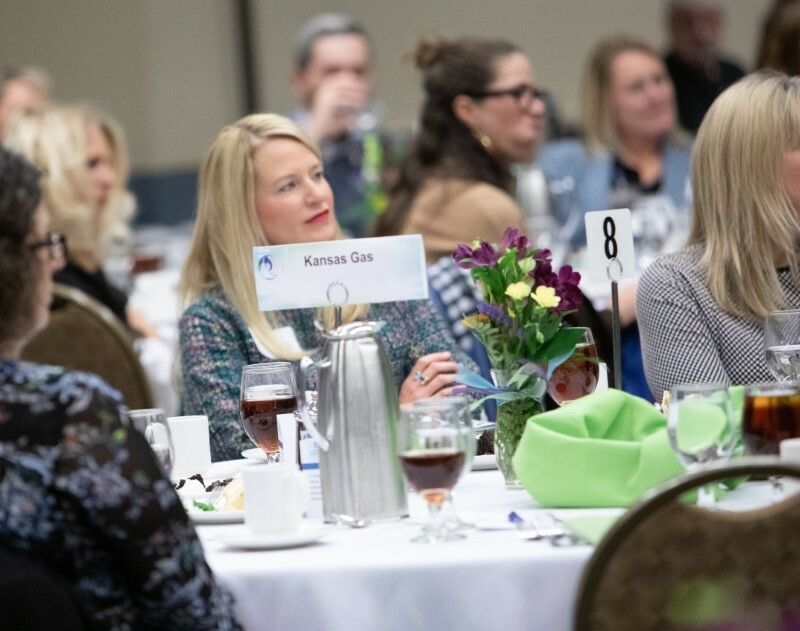 Nearly 140 supporters recently braved the rain and snow to attend Health Partnership Clinic’s Opening Doors Luncheon Benefit at the Overland Park Convention Center. 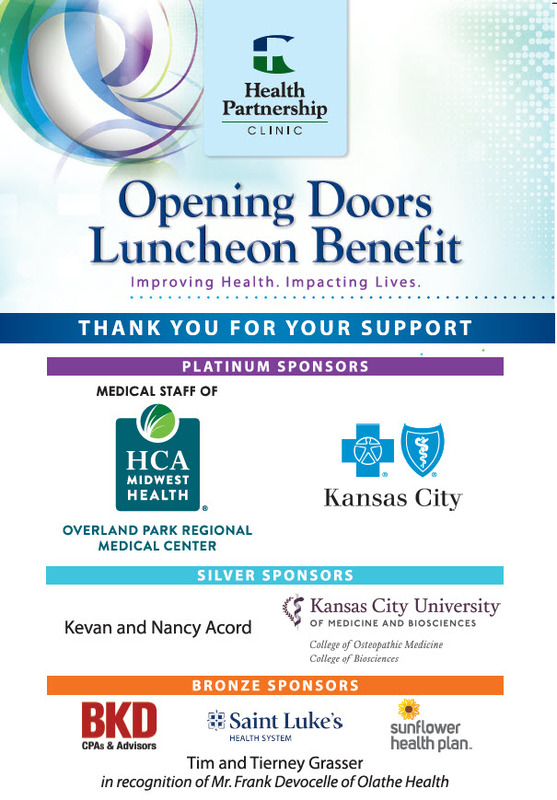 More than $45,000 was raised to help underwrite the cost of lifesaving care for uninsured adults and children. 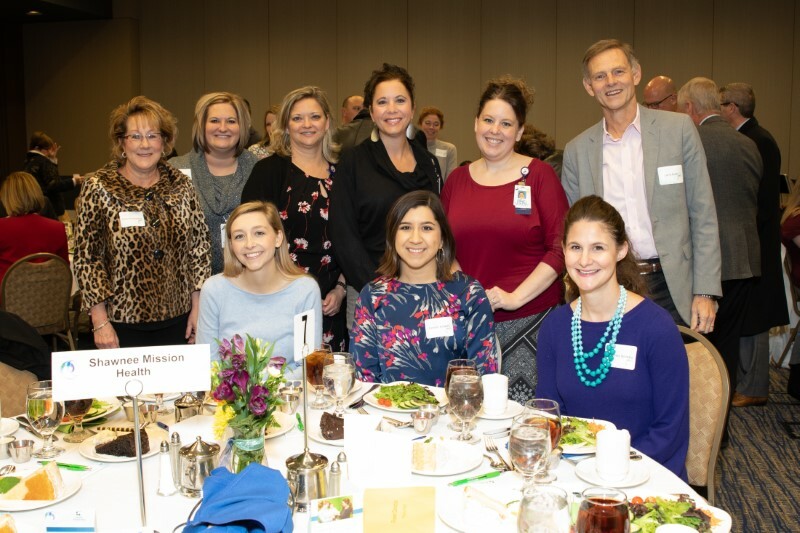 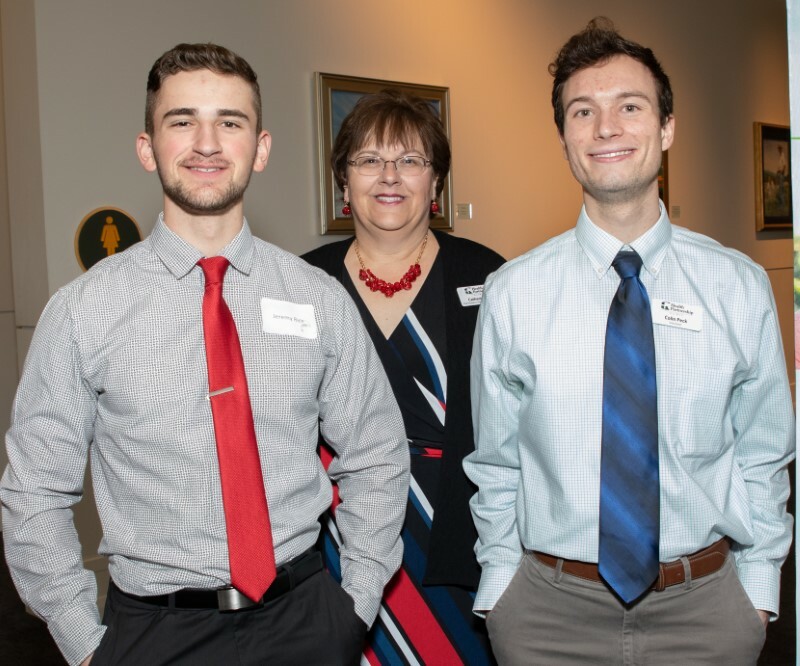 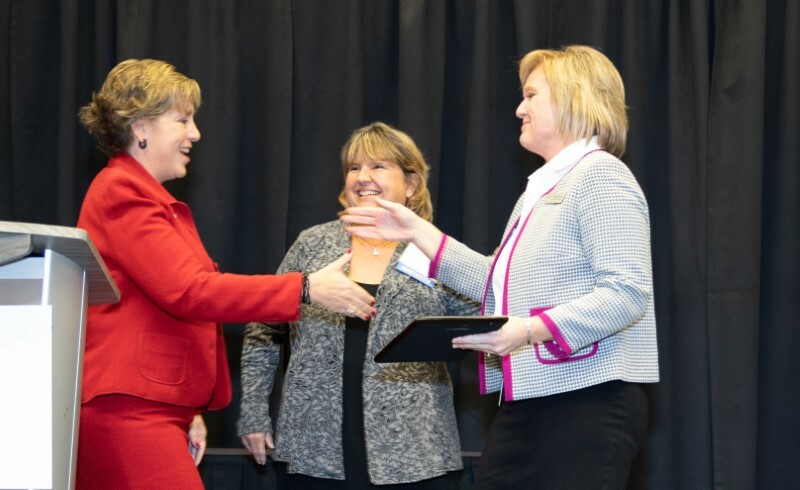 The event included a short program with a powerful patient testimonial by Carolyn Thomas, an inspiring video and presentation of awards to Frank H. Devocelle, President and CEO of Olathe Health, and the Shawnee Mission School District. 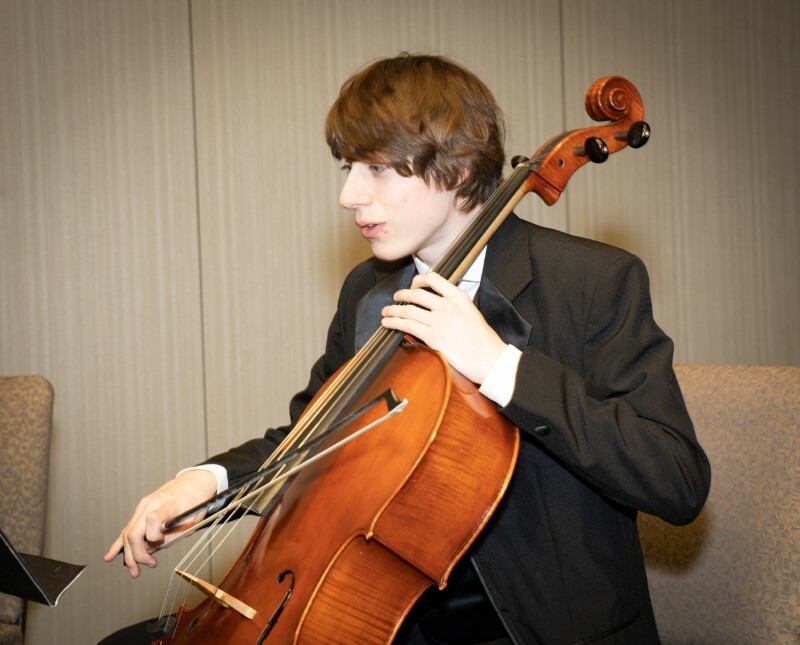 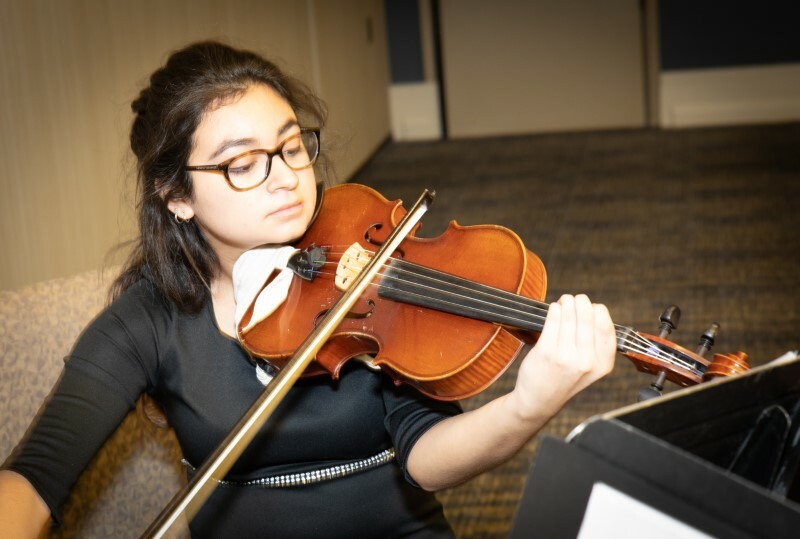 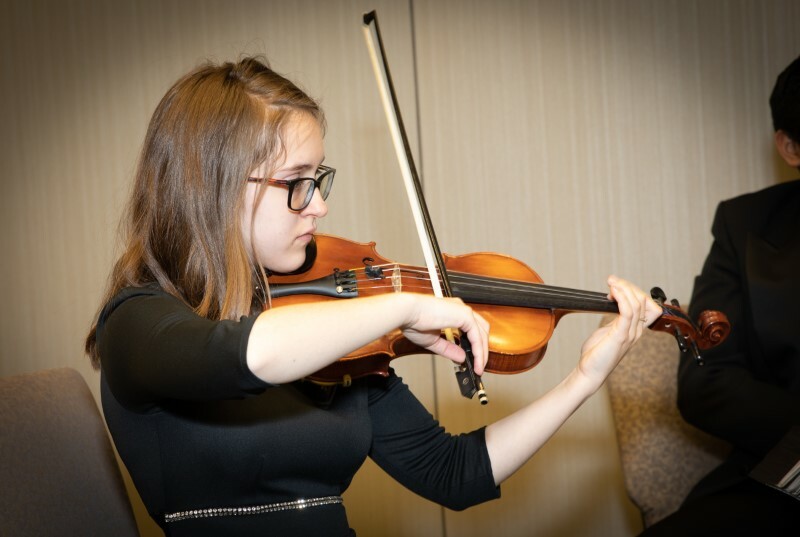 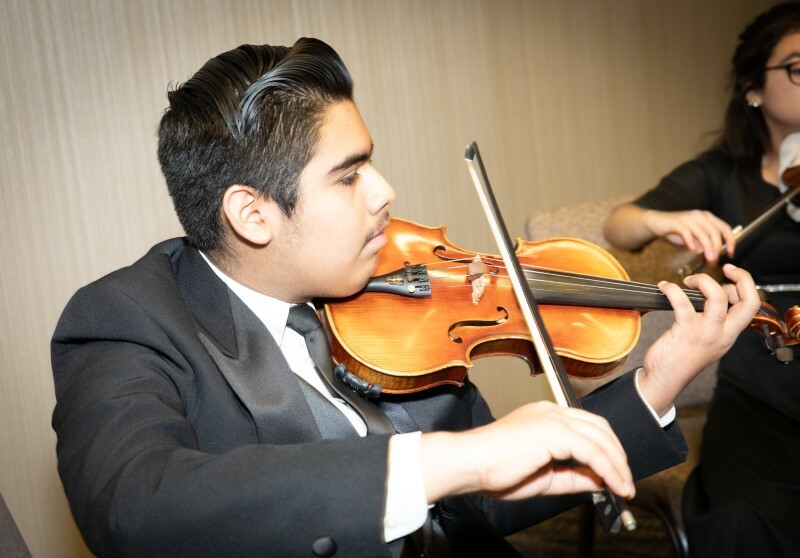 In addition, guests were entertained by the Shawnee Mission South High School Quartet. 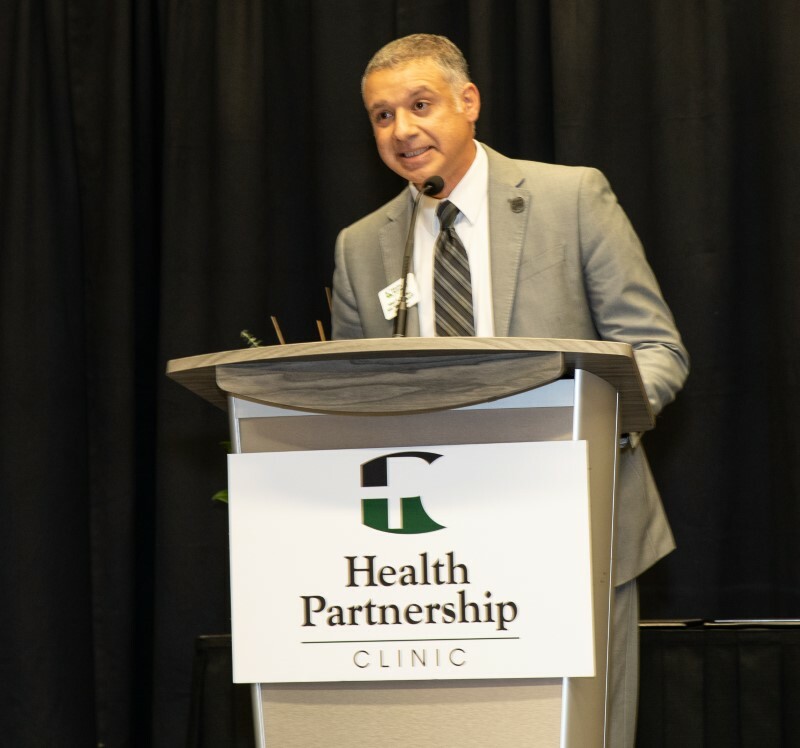 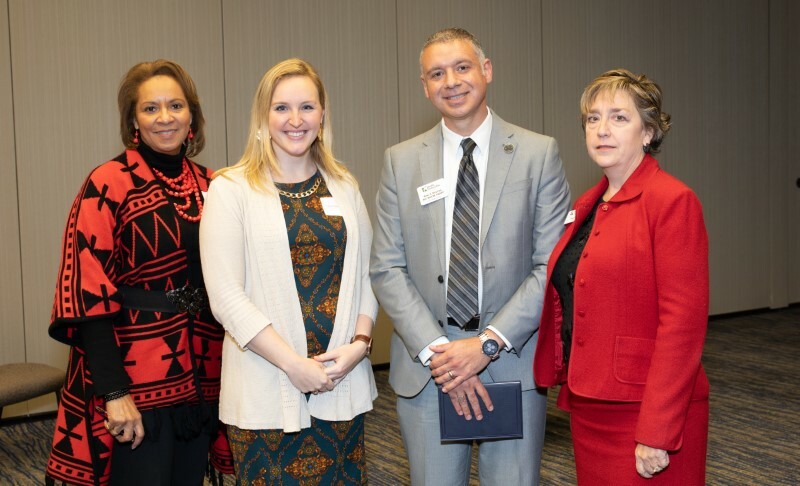 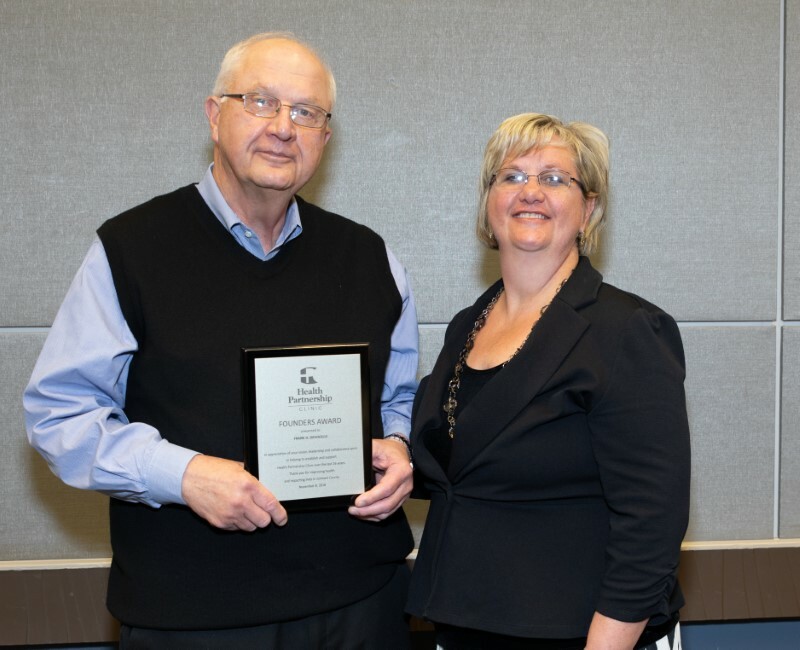 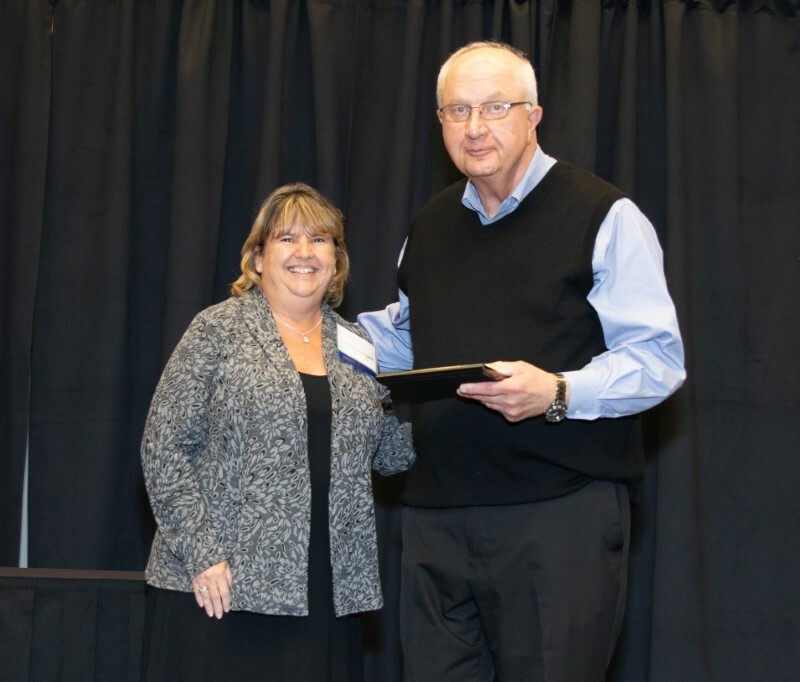 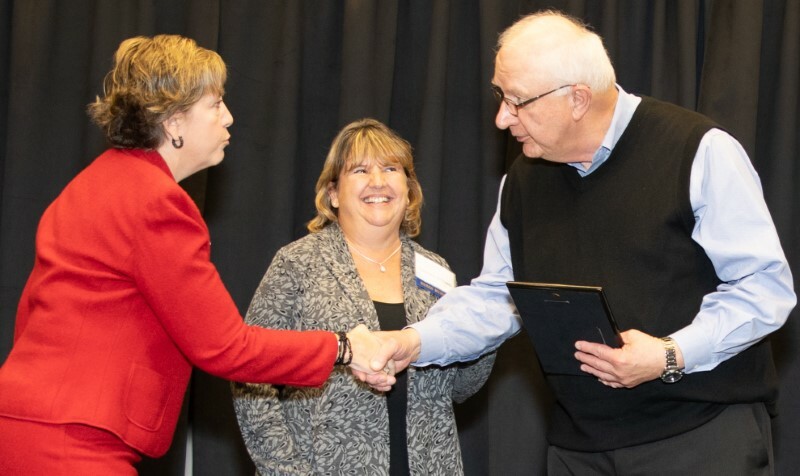 Mr. Devocelle accepted the Founders Award, and Shelby Rebeck, RN, MSN, Health Services Director, Shawnee Mission School District, accepted the Leadership Impact Award. 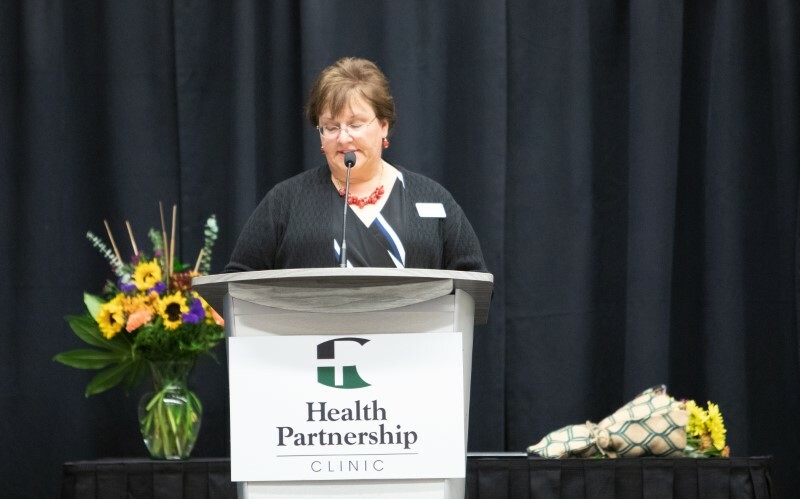 Ms. Rebeck also serves on the clinic’s board. 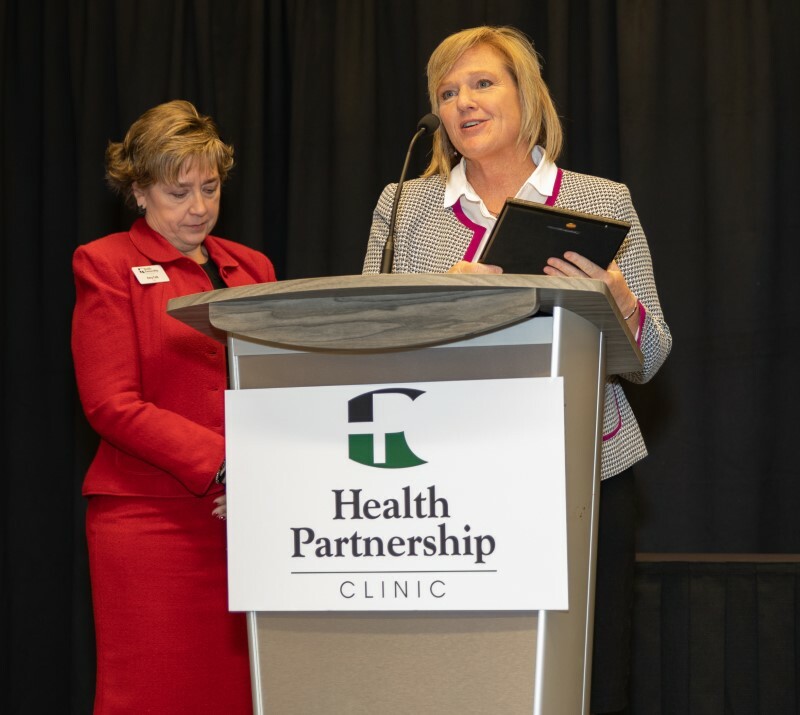 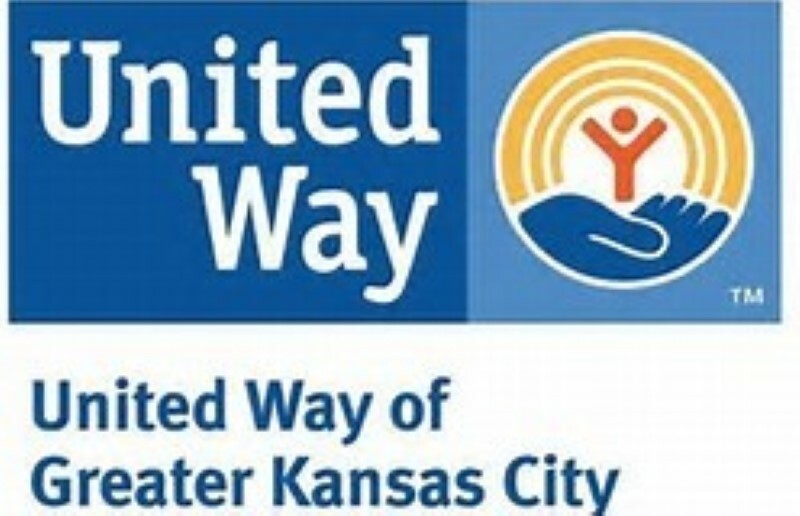 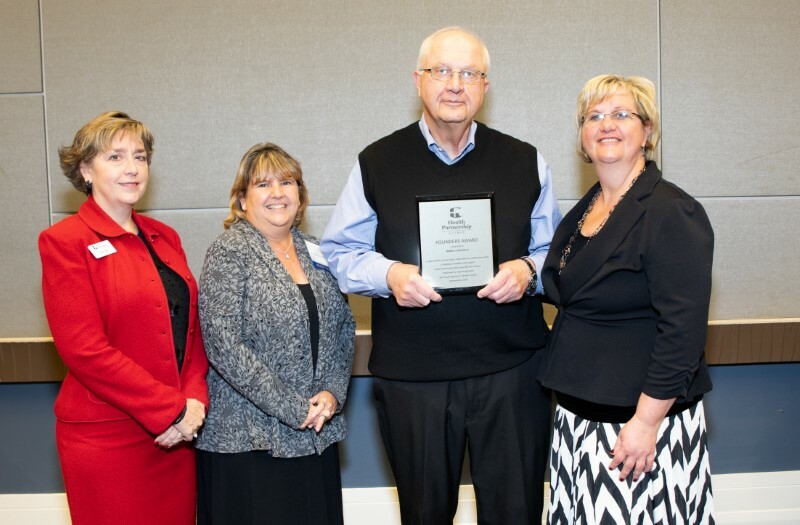 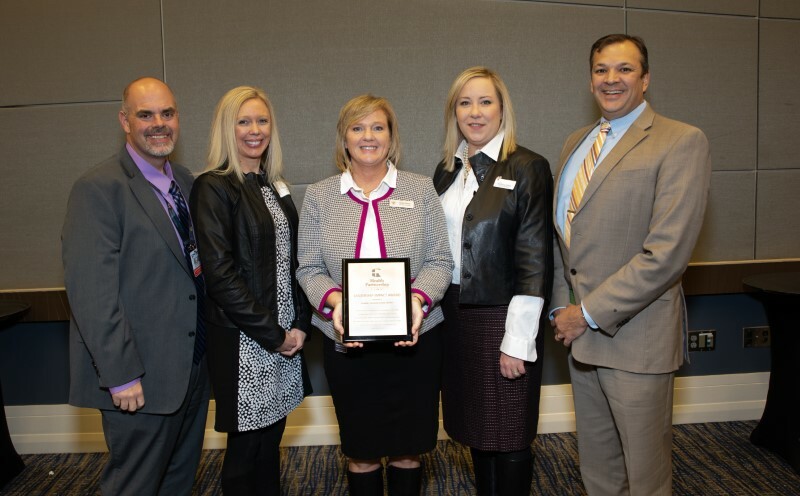 In addition, the Shawnee Mission School District was recognized for their leadership and commitment to the health and welling of their most vulnerable students and for partnering with Health Partnership Clinic to provide accessible, affordable and quality health care to area students and their families. 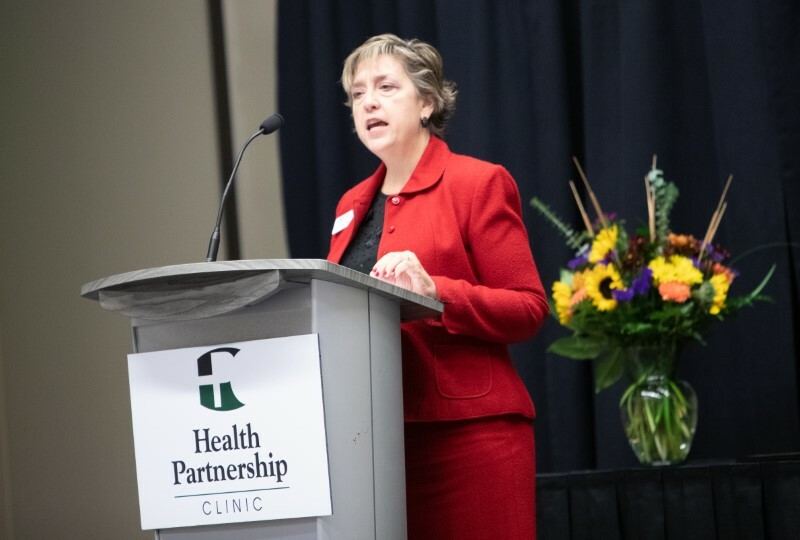 According to Tierney Grasser, Board Chair, the clinic has been opening doors to those seeking affordable, quality and accessible health care for more than 25 years. 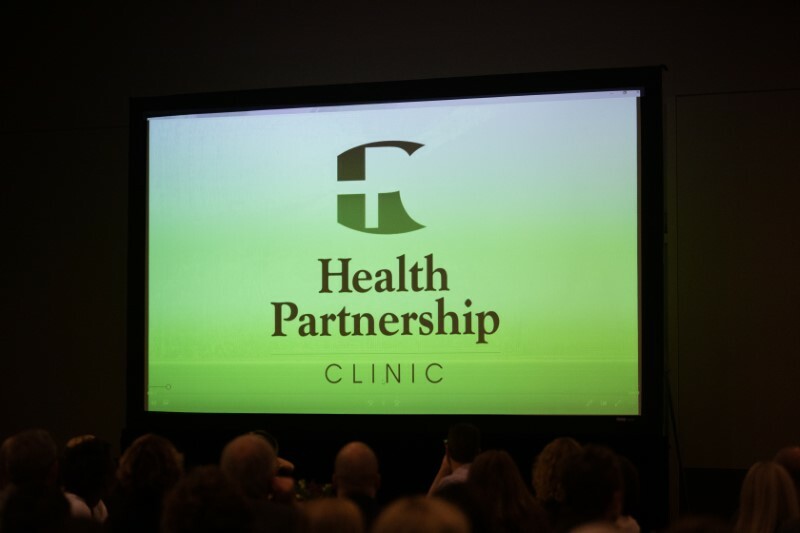 “Our mission over the years has remained unchanged and can be summed up in four words: Improving Health. 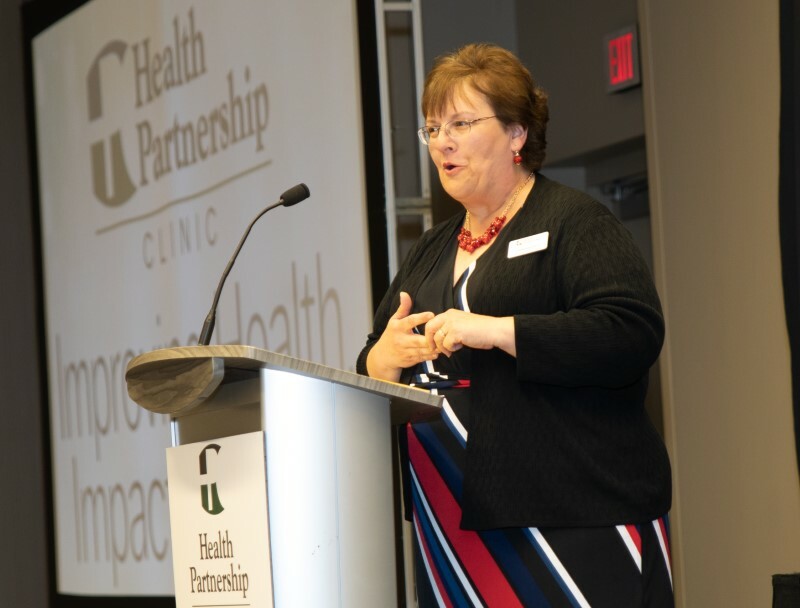 Impacting Lives,” she notes.